What's going on in and around Luxor? 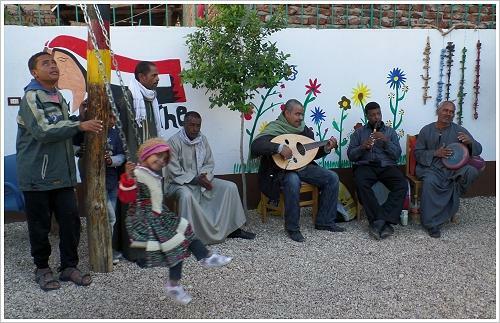 Living in Luxor. External links are marked with . 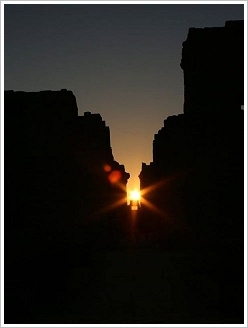 The main axis of the Karnak Temple, to be exact of the Amun Temple inside the Karnak Temple precinct, was positioned by ancient Egyptian architects in such a way that a winter solstice sunrise would shine on the temple’s east-west axis. 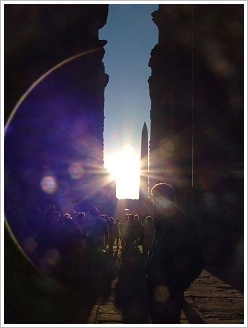 Today, Luxor celebrated this phenomenon for the third time and many visitors joined it. 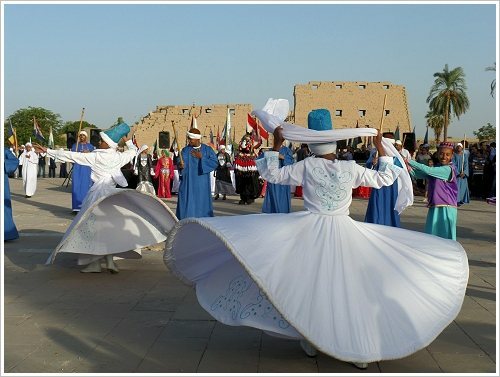 At 6.30 am the event began with music, at 6.45 am the sun rose, at 7.15 started a tour through the temple and last but not least at 8 am a folklore performance began - however, the main attraction was the sun, which was worshipped as God in Ancient Egypt. 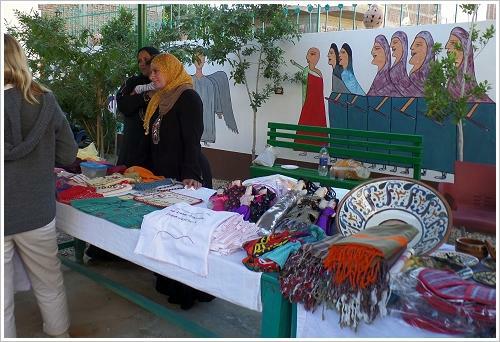 This afternoon, the charity "Small Pyramid" invited Luxor's inhabitants to a winter market. Many guests came, chatted over a casual cup of tea and pastries, listened to the live music, and bought small Christmas presents. If you missed it - no problem. 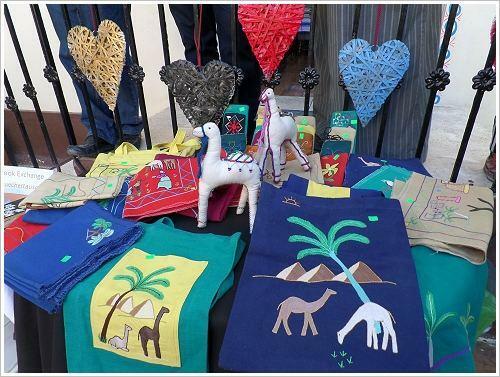 You can acquire the handiworks, which the mothers of the supported children made, at the center anytime. At the end of November the Factum Arte facsimile of the young Pharaoh's tomb had been boxed and embarked to Luxor. 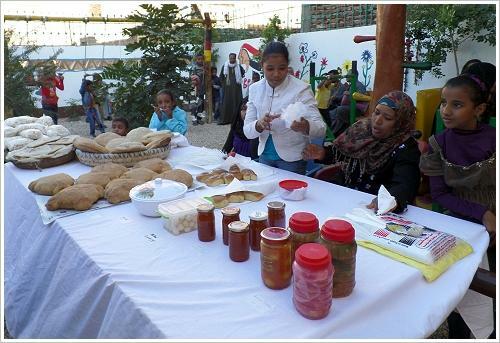 (see our news from 02/10/13). 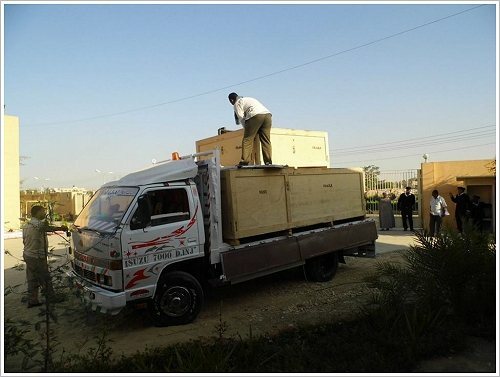 On Monday, 9th of December 2013, the precious cargo arrived on Luxor's west bank. 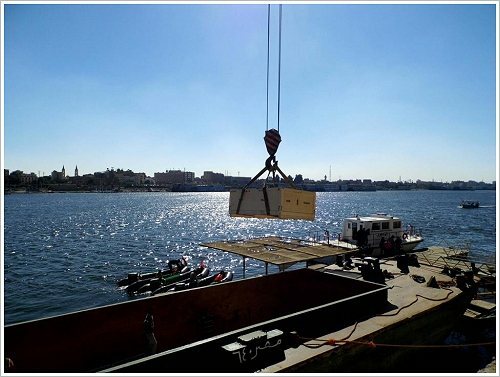 The boxes were set on land by a crane and then brought to a safe and secret place. The replica is to be installed close to Howard Carter's House in Qurna until April 2014. Obviously, there is a number of small tombs waiting for discovery. The researchers don't even exclude either the find of a big royal tomb, possibly the tombs of Thutmose II , Ramses VIII or of the queens of the late 18th Dynasty, which are still missing. But it will not be easy to locate the tombs even with state-of-the-art technology. Ground-penetrating radar is a non-destructive technique in which high-frequency radio waves were transmitted into the ground. Scientists measure the reflected return signals to find buried structures. 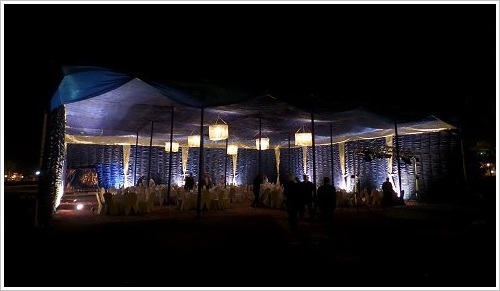 But there are many natural features that can look like walls or tombs. Only excavations will assure them. Really exciting is the discovery of an ancient flood control system that served to prevent the tombs in the Valley of the Kings from being damaged by water and debris. 10 meters below the modern-day surface the researchers detected a deep channel with side channels that allowed water and debris to pass through the valley without causing damage. Unfortunately, the system had fallen into disrepair already after Tutankhamun's burial and couldn't serve the propose. However, this could be the reason that the tomb remained safe. Debris carried along with floods could have sealed the tomb and made it inaccessible to tomb robbers. Beside that, the team excavated huts of the workers of Deir el-Medina, who built the tombs, and documentated the graffiti they left. 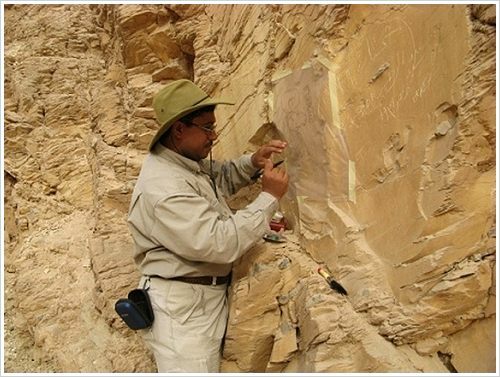 The Glen Dash Foundation will present these and further results in detail at the Conference Current Research in Egyptology (CRE) XV in London in April 2014. 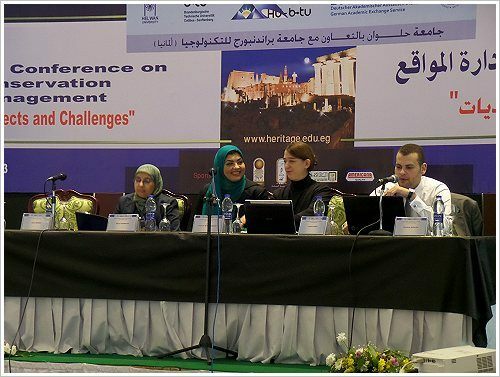 Actually, the "HU-BTU First International Conference on Heritage Conservation and Site Management" under the slogan "Heritage Tourism: Prospects and Challenges" was planned to take place in Cairo. However, now it is transferred to Luxor. HU-BTU represents the two organisers: HU the Egyptian Helwan University and BTU the Brandenburg University of Technology Cottbus-Senftenberg. 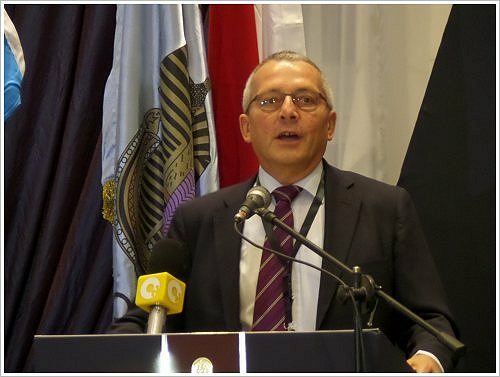 The 4-day interdisciplinary conference is funded by the DAAD (German Academic Exchange Service) and sponsored by the relevant Egyptian ministeries. The conference themes of interest include but are not confined to the impact of tourism on cultural and natural heritage or heritage awareness and local communities.